The Buckinghamshire Conservation Trust has a long-term vision of managing green spaces and nature for the benefit of residents and visitors in the county. Like many other parts of the UK, Buckinghamshire is under pressure to find space for new homes and communities, but it has a great wealth of history, wildlife and beautiful landscapes which offer many benefits and opportunities to its growing population. The Buckinghamshire Conservation Trust is keen to make sure the public has access to green, tranquil places to explore nature, discover local history and enjoy exercise and relaxation. The Trust's first site is Quarrendon Leas - an area of fields and meadows bordering the River Thame near Aylesbury, which is full of fascinating history, including the remains of a medieval village and a Tudor manor, now protected as a Scheduled Monument. The Trust is committed to preserving the archaeology and ecology of Quarrendon and to making the site more accessible for the people of Aylesbury to enjoy. The Trust plans to promote the site to bring to life the history of an English rural village over many centuries and all the social changes its community would have experienced. 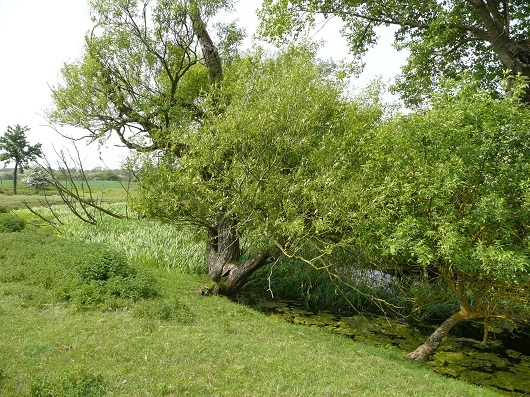 Use the links on the left to discover more about Quarrendon Leas, including its history and wildlife, how it's being cared for and how you can visit it.